We take great pride in producing the stories you find most relevant and pay utmost care to both quality and content. We also believe you should not have to pay first in order to enjoy these features. Thus, there are no subscription fees to enjoy any of our productions. Not now, never. However, the cost of production to maintain regular, quality content is substantial. Your financial support would ensure that our efforts are not sporadic. Your pledge also means that we have received an endorsement for our hard work – and that is more valuable than the actual dollar amount. So, if you feel we deserve the support, please click on the button below to pledge an amount. We thank you for your generosity. BanglaPodcast.com brings to you unique content in the exciting podcast format and short videos to Bengalis around the world. The flexibility of the new format (read more on podcasting), allows us to present the rich culture and heritage of Bengal and the Bengali language, whenever you are ready. On your computer, on your iPod/MP3 player and on your phone, our episodes will provide you the right mix of entertainment, information and interactivity. Along with audio podcasts, our short videos capturing the essence of prabasi bengali life, celebrate bangaliyana around the world. 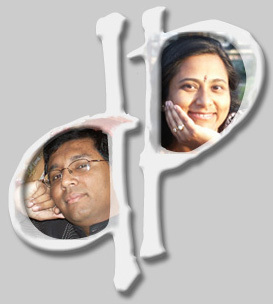 Piya and Deb Roy bring their interest and experience in technology, media and arts to produce the podcasts at BanglaPodcast.com. Their fascination with podcasting led to the creation of PodioIndia which soon became one of the most popular Indian podcasting websites. Outside regular academics, Piya’s years in Kolkata were spent pursuing music while Deb wrote columns in major newspapers. These early interests now find a confluence in the shows they produce and host from USA. When not thinking together about creative podcast content, Piya works with teachers and students of Special Education while Deb develops Biotechnology. Srijeet Chaudhury (also known as Babu), brings to the team his anchoring and extempore skills and an infectious smile! 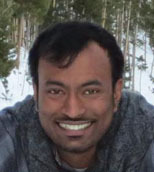 A chemical engineer by profession, Srijeet was born and raised in Kolkata, India and moved to Canada in his late teens. But his penchant for Bengali culture and language never let his roots fade away. He excels in debates (making him the contrarian in the team) and is passionate about Bengali music and literature. Born in Calcutta, brought up in Chandannagore - Anirban Roychoudhury, after completing his engineering started his IT profession with Infosys. He has traveled in Europe and came to US in 2010. He takes interest in Bengali literature, poetry, drama, traveling, world movies, and music. From Dar Es Salaam of Tanzania, Partha Ghosh is now working in a reputed Shipping Firm of East Africa. He is an avid book reader, awesome cook and a movie buff. A student of Narendrapur Ram Krishna Mission, Partha was also among the top four finalists of Zee TV reality show "Business Baazigar". Engineer by profession, Ayon Chakraborty lives in Stockholm, Sweden. He is very enthusiastic and social by nature. He loves interacting with people and is a true bong "Addabaj". Piyashi Roy Choudhury provides background research from Kolkata and brings in her years of experience in print and electronic media. Besides exploring passionately her new-found interest in podcasting, she teaches courses on Media Relations and works with NGOs. Destiny made Kishore Sen’s association with BanglaPodcast.com fairly short-lived. A brilliant composer of computer-sequenced music from Kolkata, Kishore-da was well-liked and respected by the online music community. The untimely demise in June 2007 robbed us of some of the unique fusion music he was composing. But his music lives on forever through the various compositions available on his webpage and the nostalgic theme music he composed for the Detroit NABC07 Podcast. Richa Sarkar started her career in "Bachik Shilpo" with advertisement voice-over for different Radio channels. She has learnt recitation from Rama Basu and Amitava Bagchi and has performed recitation and Shruti-natok in various stage-shows. She was a regular artist in Akashbani Kolkata (FM Talk-Show-host) and has conducted many programs for different TV channels and also performed as Emcee in various programs in India and abroad. An All India Radio artist for 20 years, Subhasree Nandy (Rai) is an avid writer, with her articles/editorials published in 'Anandabazar Patrika', Ei Shomoy', and 'Aajkaal' and other local magazines. A number of cultural programs have been staged under her direction at RBC, Bangamela, Pujari and BAGA of Atlanta. Jonai Singh has been a frequent contributor to many of our podcasts and video coverages, hosting shows and interviewing celebrities. For the past decade, Jonai Singh has been at the forefront of connecting, promoting and managing the Bengali Folk and Cultural artists with the North American Bengali diaspora through her company JS Events. Shyamak Mukherjee (also known as Joel) is the heart and soul behind the music you hear in the 2008 Banga Sammelan podcast including the theme music - brilliantly blending the nostalgia of Bengali music with contemporary exuberance. Like everyone else in the family, Joel started music pretty early on - starting with classical guitar and then moving on to contemporary music. He had been a member of the pioneers of Bengali rock culture...Paraspathar. Joel is now busy producing his own album. Listen to some of his works here. © 2006-16 Fantast Media LLC. All rights reserved.